Plan Your Lake Break Before Summer Gets Away! One And All	Starry, Starry Nights! Business or pleasure. Family or friends. There’s no better place than to gather and relax together than at out lodge! Water Skiing, Paddle Boarding, Biking, Hiking and more. 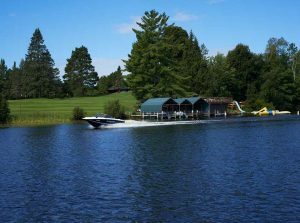 It doesn’t get any better than a Summer getaway on Lake Minnesuing. Just a few dates remain. Call and reserve yours today!